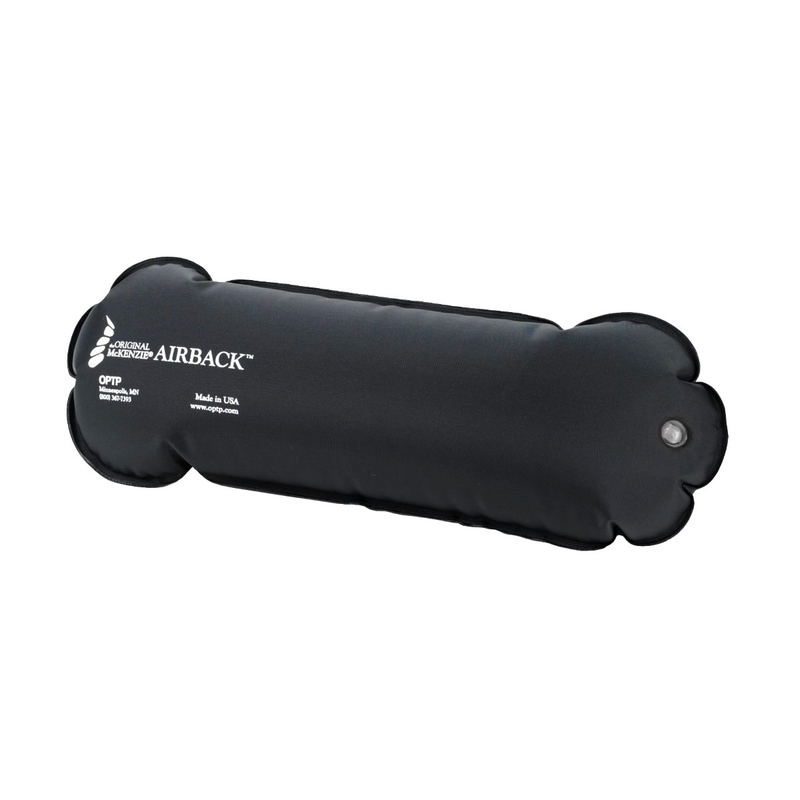 The Airback™ makes an ideal, travel-sized backup to any of our Original McKenzie Lumbar Rolls. For individuals with back and neck pain, the prospect of travel can be daunting. Whether you use the Original, SlimLine™, SuperRoll™, D-Section™ or Early Compliance™ Roll, the Airback™ offers convenient short-term support that folds easily to the size of a wallet and deflates in seconds. While ideal for short-term support, the AirBack is not designed for long-term daily use. Constructed of durable PVC. Measures 15"L x 6"H (deflated); 14"L x 4"D x 5"H (fully inflated). This cushion provides just the right amount of support while sitting on the couch. I plan to take it on international flight. Works great, the portability is why I like it. I can put it in my pocket, and use when needed.